Over the next few weeks, I will be reviewing a number of Lush bath bombs. 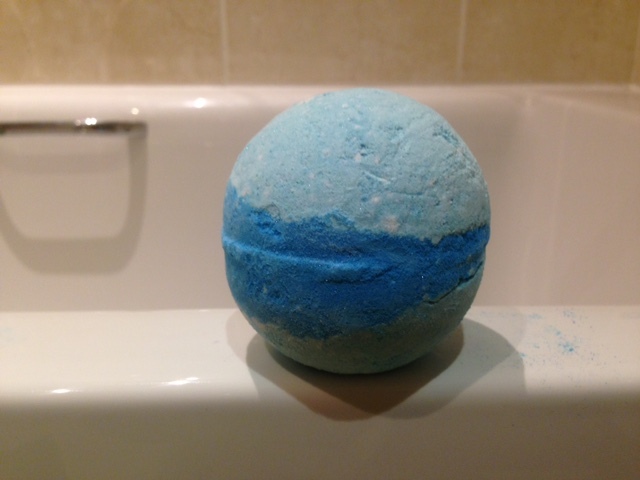 Today, I experimented with the ‘Frozen’ bath bomb… and was pleasantly surprised. After a busy day at work and hitting a ‘tiredness wall’ as soon as I walked through the front door, I knew that only one thing would help… a soothing bath. From the outside, ‘Frozen’ looks just like any other bath bomb – round in shape but with a swirl of vibrant dark blue running through the (mostly) light blue colouring. But don’t let looks deceive – this bath bomb has GLITTER in it… something you will realise as soon as you drop it into the water and it foams, fizzles and spirals out of control. The fusion of grapefruit and Tunisian neroli (aka. the oil from a floral blossom) really helps to create that soothing, calm scent to match the cool colouring of this bath bomb and stay true to the ‘Frozen’ title. End result? 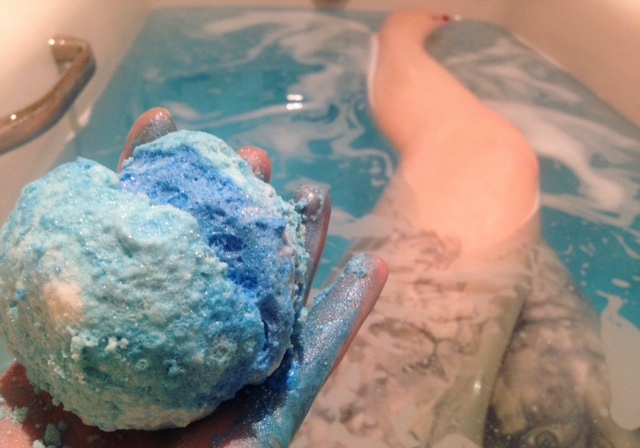 a blue glittering bath that calmed me completely and left my skin smelling incredible. Every bath bomb is individually handmade – this obviously means that each product has a unique but recognisable appearance – and can be found at your local Lush store for JUST £3.95! But best of all… no Lush products are tested on animals – so there is no sacrifice for our vanity! Stay tuned for part 2 of my Lush bath bomb review series. For more posts like this, follow my blog.